The 2016 Jeep Cherokee is a small crossover SUV that combines rugged off-road capabilities with rich interior comfort. Inside, there’s plenty of space for the whole family. 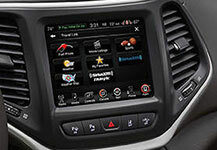 High-tech infotainment gear provides helpful features like smartphone integration and turn-by-turn navigation. Advanced safety systems deliver cutting-edge protection. On the road, the Cherokee feels smooth and composed. Off-road, it offers trailblazing performance, a rarity in this segment. Inside, the 2016 Jeep Cherokee offers sublime comfort and style. Both rows are big on passenger seating, so everyone has plenty of room to spread out and enjoy the ride. Little luxuries, like leather upholstery and heated and ventilated seats, help you maintain high levels of comfort. The Cherokee’s backseats are a segment standout, offering fore-and-aft adjustments and the ability to recline. Behind the rear seats, you’ll find 24.6 cubic feet of cargo space for your everyday hauling needs. To load larger items, simply flip down the rear seatbacks to create 54.9 cubic feet of space. When you crave the latest tech features, the Cherokee delivers. 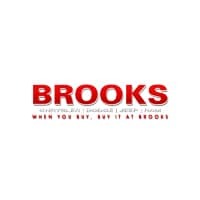 Conveniences like keyless entry and ignition save plenty of time in the long run. Use the remote ignition feature to warm up the Cherokee engine without stepping out into the cold. 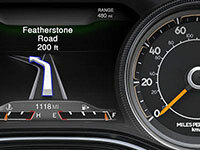 Infotainment features, like the central Uconnect system, offer an all-important connection to the outside world. Smartphone integration options give you the ability to make hands-free calls without looking away from the road. The Cherokee’s USB port keeps your favorite devices charged on the go. LED interior lighting provides a soft glow during your nighttime rides. The 2016 Jeep Cherokee also provides a strong showing in the safety department. The Insurance Institute for Highway Safety gave the Cherokee its top score of “Good.” In government crash tests, the Cherokee received a perfect five-star rating in side-crash tests. The Cherokee’s high-tech driver aids help you spot problematic situations before they can become an issue. If it senses an impending crash, the forward-collision warning system can automatically apply the brakes to mitigate damages. The blind-spot and rear cross-traffic alert system warns you about vehicles you might not be able to see. The Cherokee generates plenty of power for a capable ride, both on-road and off. Choose from a number of different engine options for the rugged performance you crave. On the road, the Cherokee feels smooth and comfortable. At highway speeds, the cabin remains luxuriously quiet. You can also choose from several four-wheel drive options. We like the Active Drive II, which amplifies performance for some serious off-roading. 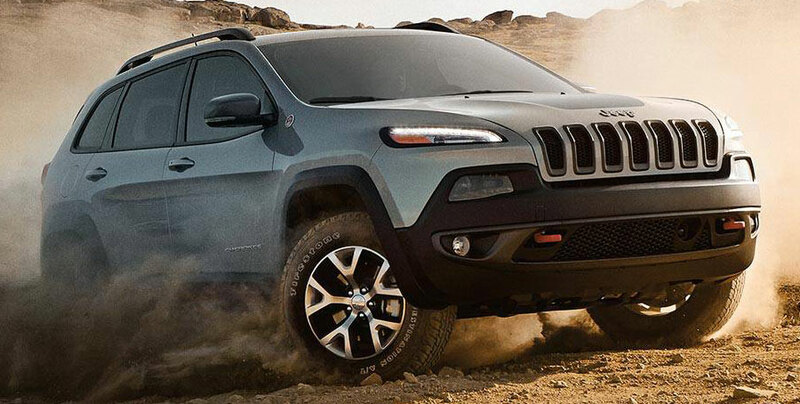 For all-out rugged performance, choose the 2016 Jeep Cherokee Trailhawk. It’s off-road-ready, with performance features like the Active Drive II four-wheel-drive system. All-terrain tires help you traverse everything from bogs to boulders. Inside, the Trailhawk provides luxurious passenger accommodations, with leather upholstery and an 8.4-inch touchscreen. The next generation in infotainment technology is here. Enjoy premium nappa leather trim and spacious, supportive seating. Get vital stats and turn-by-turn directions in one quick glance. If you like a little luxury with your outdoor adventure, the 2016 Jeep Cherokee is your go-to crossover SUV. Inside, luxuries like heated and ventilated seats maximize passenger comfort. The Cherokee also provides all the latest on-road technology, so you can count on extensive infotainment and safety features. As you cruise around town, the Cherokee provides a smooth, responsive ride. When it’s time to hit the trail, the Cherokee blazes through rugged territory without a hitch. Take the Cherokee on a test drive today!